20/20 vision a term used to describe normal visual acuity — the sharpness of a person’s vision — measured at a distance of 20 feet. 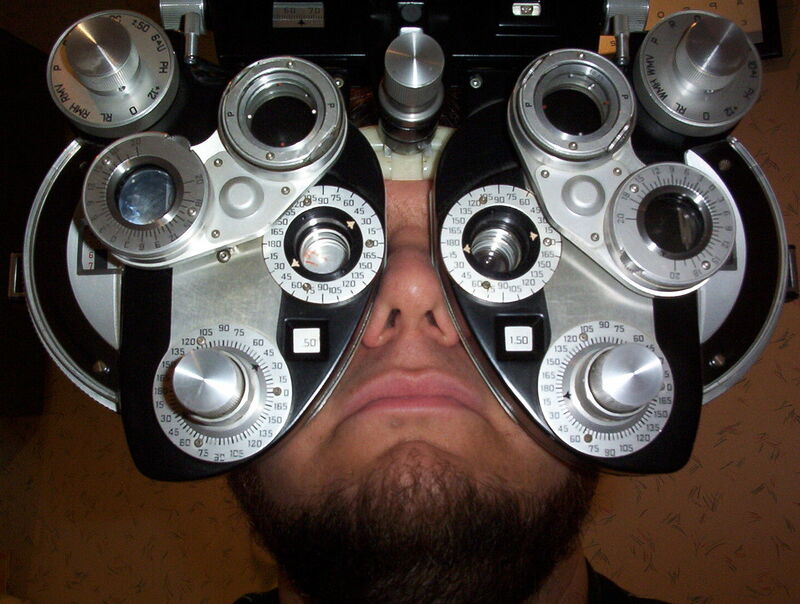 If a person has 20/20 vision it means that they can see clearly at 20 feet what should normally be seen at a distance. 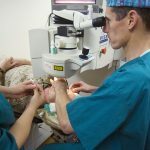 If someone has 20/100 vision it means that they must be as close to 20 feet as possible to see what a person with normal vision could see at 100 feet. The Snellen Eye Chart is a test that is used to measure a person’s distance visual acuity. The chart contains rows of letters, numbers or symbols printed in standardized graded sizes. 20/20 doesn’t necessarily mean that you have perfect vision, it only indicates that the sharpness or clarity of your vision at a distance. There are other important visual skills such as peripheral awareness, depth perception, eye coordination, color vision, and focusing ability that contribute to your overall visual ability as well. Some people can see very well at a distance, but are unable to focus on objects that are close to them. This condition can be caused by presbyopia (loss of focusing ability) or hyperopia (farsightedness). Other people can see items that are close, but not those that are far away. This is known as myopia (nearsightedness). A comprehensive eye exam can help to determine if there is anything that is affecting your ability to see well. The Snellen Eye Chart was created in the 1860s by Dutch eye doctor, Herman Snellen. There have been other charts that have been created that might also be used during an eye exam such as the Tumbling E Chart. The Tumbling E Chart features capital letter E’s facing in different directions. This chart comes in handy when examining children who don’t yet know the alphabet or for people who aren’t familiar with the English language and alphabet. Rather than say a letter, they can pick the smallest line of E’s that they can see, and say or point to which way the “arms” of the E in that line are facing. Numerous studies have shown that this chart and the Snellen chart come up with nearly the same results. To obtain a driver’s license in the US, you need to have at least 20/40 vision or better.